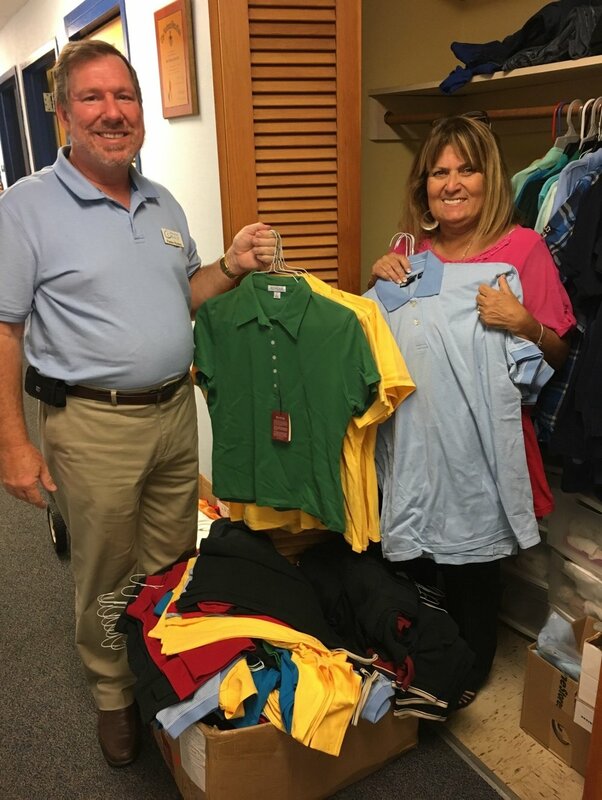 Amazing Grace Lutheran Church’s (AGLC) Human Care Ministry provided 120 new polo shirts to Wildwood Middle High School (WWMHS) in August! More than 80% of the students at WWMHS live in poverty and at times have outgrown school appropriate clothes or just lack the ability to buy what they need. AGLC Clothed in Christ's Love is a project of our Human Care Ministry under Jan Poch. These new shirts helped to stock the school's clothing closet and is a simple way that we can share Christ's love and provision! Each shirt also had a label saying, "A Gift to You from Your Friends at Amazing Grace Lutheran Church."